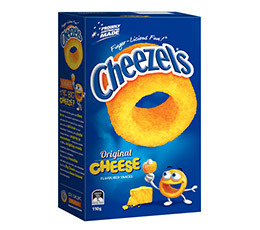 The famous cheesy, ring-shaped snack with the finger-sized hole. Pop them on your fingers and eat them one by one. Finger-licious Fun!